I must admit, life has been a bit crazy lately. I have become a slacker in the holiday decor department (so sad, I know!) and am almost embarrassed to admit this. 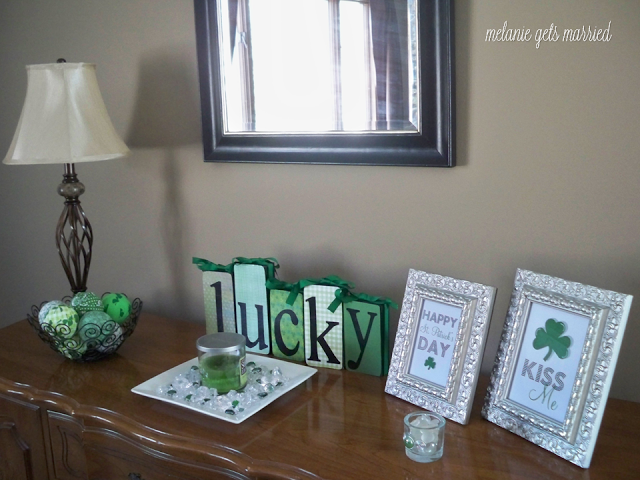 It is March 16th, and I have not gotten a single St. Patty's decoration out yet this year, and at this point I probably won't. 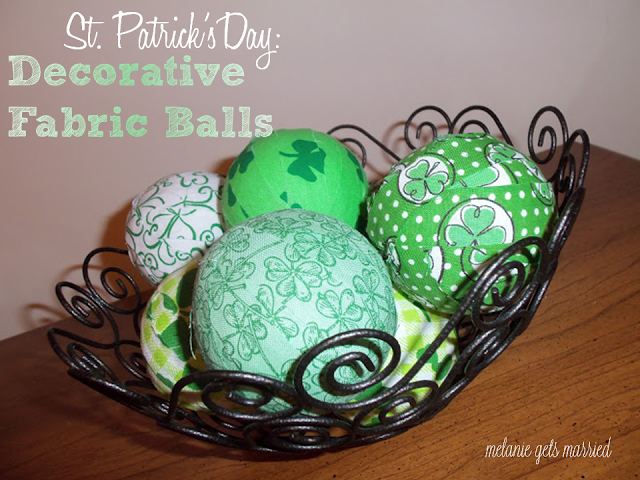 So if you wandered to this blog looking for St. Patrick's Day decorations, you will not find them here, at least not this year. Instead, I have decided to share posts from last year. I can't completely bypass this holiday after all. First off, I created this beautiful vignette last year. So simple, yet so festive. I created this wreath for the front door a few years ago. With the leftovers from the wreath, I made these. 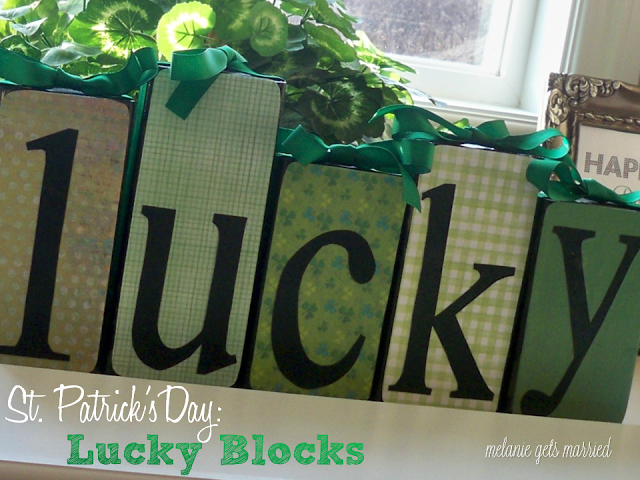 I also made these wood block letters with scrapbook paper and mod podge. I wish I could have spent more time decorating this year, but it snuck up on me so fast. 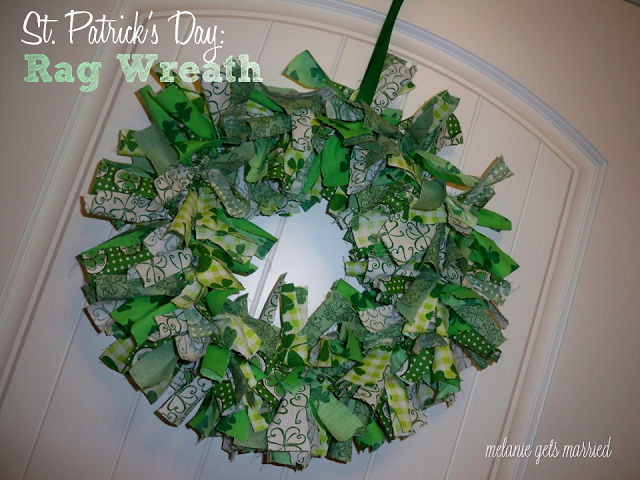 After this post, I'm at least going to go hang my wreath! My Best Friend Got Hitched!